US Army Sgt. 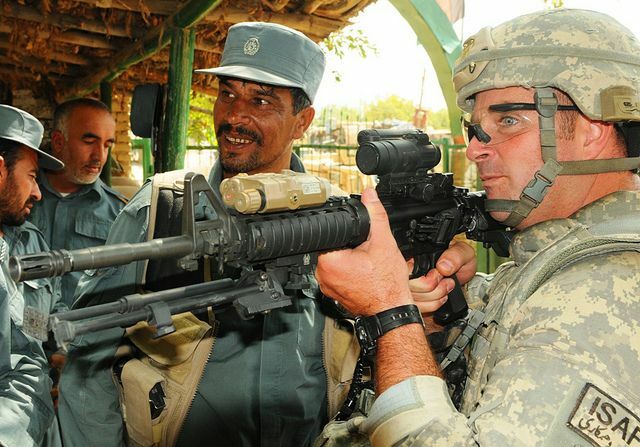 Corey Marchegiani, a cavalry scout with Troop B, 1st Squadron, 172nd Cavalry Regiment, shows an Afghan National Police officer how to use the laser sight on his rifle in Pul-e-Sayad here Sept. 5. Photo via the US Army.